LAN Speed Test v4.4 is released! Free upgrade to all v4 registered users. Available for Windows and Mac OS. After installing LAN Speed Test v4, it begins in (Lite) mode. 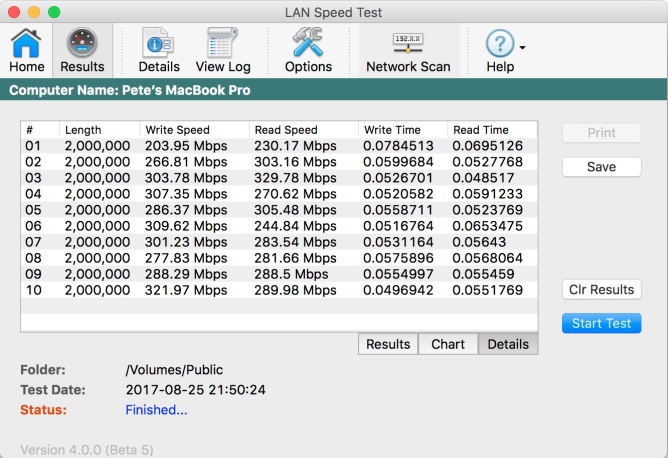 LAN Speed Test (Lite) is fully functional with no time limits, etc. - only some of the more advanced features are disabled. 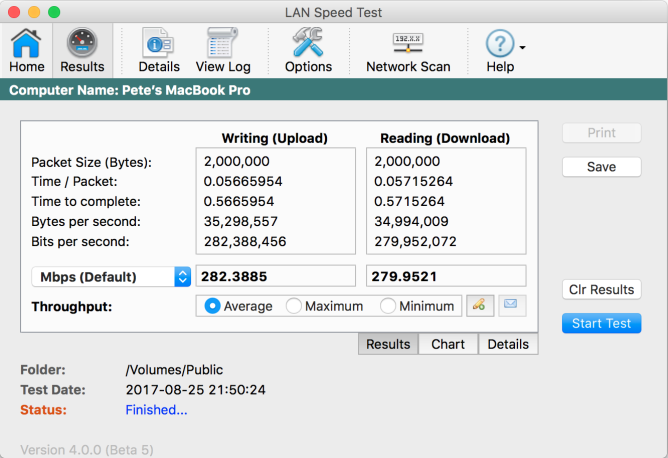 LAN Speed Test was designed from the ground up to be a simple but powerful tool for measuring file transfer, hard drive, USB Drive, and Local Area Network (LAN) speeds (wired & wireless). First, you pick a folder to test to. This folder can be on a local drive or USB drive, etc. to test the drive speed, or a shared folder on your network to test your network speed. 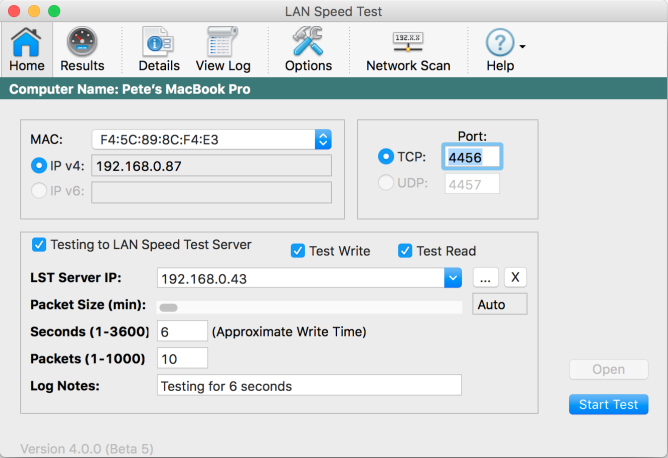 Next, LAN Speed Test builds a file in memory, then transfers it both ways (without effects of Windows/Mac file caching) while keeping track of the time, and then does the calculations for you. 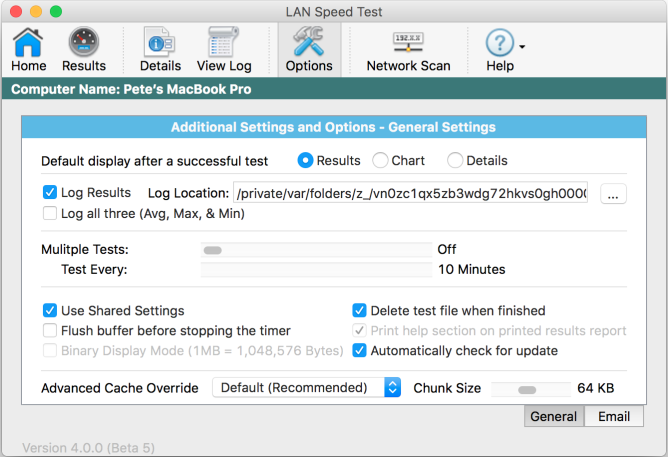 For more advanced users, you can test to LAN Speed Test Server instead of a shared folder to take the slower hard drives out of the process as you are testing from one computer's RAM to another computer's RAM. Simple concept and easy to use. 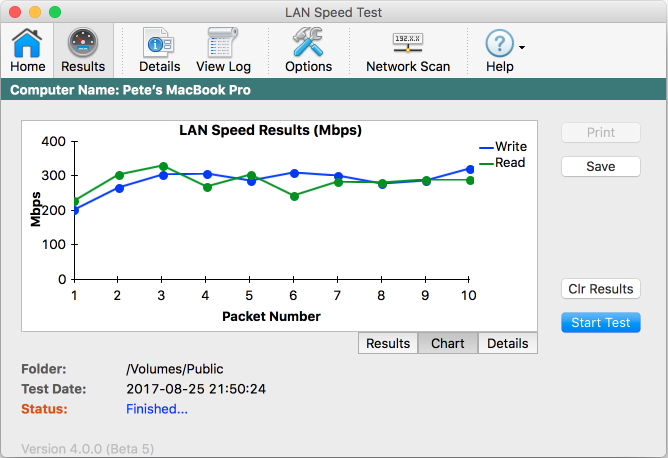 You'll find that LAN Speed Test will quickly become one of your favorite network tools! Can be run from a hard drive, USB Flash drives, Network Share, etc. 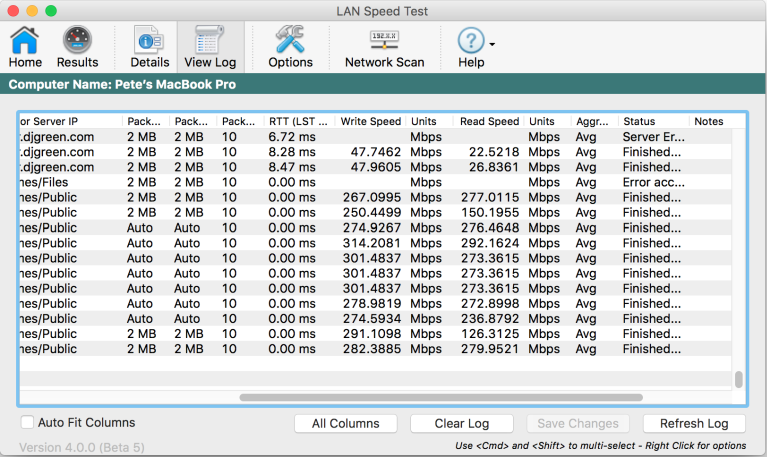 LAN Speed Test full license gives access to all features. All previous LAN Speed Test purchases qualify for an upgrade discount. If your purchase was in 2017, you qualify for a free upgrade. Are you eligible for a discounted or free upgrade? Simply click here to find out and verify your upgrade elilibility. Cost is just $10.00 per user (on any number of devices). Same license works on both your Windows and Mac desktops and is valid for all version 4 updates!